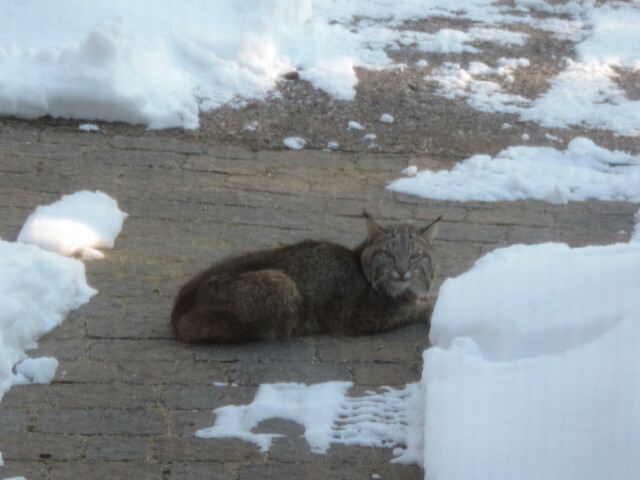 Lake Wicwas Nature Journal: March 18, 2018 - House Cat or Wild Cat? March 18, 2018 - House Cat or Wild Cat? It was another eventful week in New Hampshire as nor'easter number three blew through the region pushing warm air ahead of it, heavy snow during it, and the usual blast of cold, clear weather behind it. On a warm day before the storm I went up to Arbutus Hill Pond in the Eames Conservation Area to see what was happening on the beaver ponds in late winter/early spring. Walking in I came across the occasional coyote or fox track, but as soon as I neared the pond the animal activity increased dramatically, with otter, mink, and weasel tracks all around. It's no surprise that, as scientists are finding and documenting in books such as "Blue Mind" [Wallace J. Nichols; Little, Brown, and Company, 2014], being near water makes us healthier and happier; water has been attracting, sustaining, and evolving life for millennia. And that's in addition to the fact that it's just plain beautiful. Water isn't the only thing that attracts animals - trees, plants, and their fruit are also large draws, bringing in forest animals such as birds and rodents, especially when concentrated into feeding stations. And these in turn, bring in the predators. 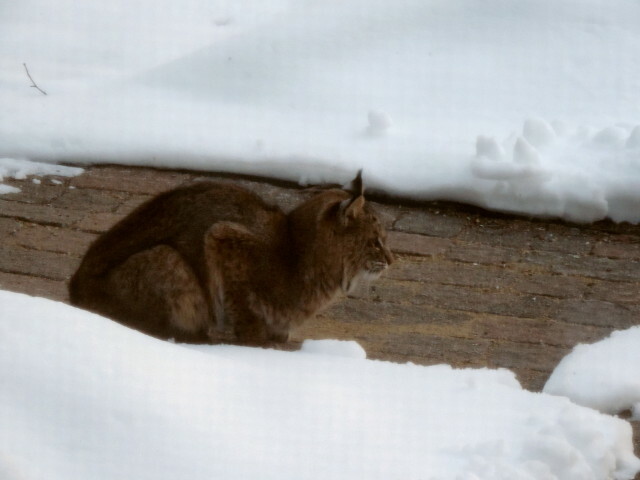 A bobcat made several visits along Wicwood Shores Road before the latest storm, and thanks to Marge Thorpe, we have some great proof. Look as this feline, sitting on someones doorstep just like a cute little house cat. But let it turn its head, and its clear this is no domesticated animal. The source of its attention was a collection of birds and red squirrels. As seen in this picture, it is breeding time for squirrels, and I kind of hope the kittens of this nursing mamma aren't orphaned by a hungry cat, but sometimes that's the way nature goes. And at this point female bobcats are gestating their young, so at least it would nurture a different new life. Bobcats typically have two or three kittens, but in a high food year they may have up to seven [wildlife.state.nh/wildlife/profiles/bobcat.html]. 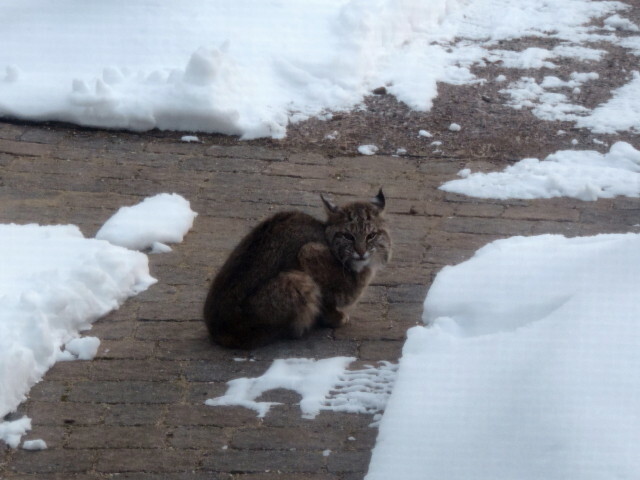 Thank you Marge for sharing the great pictures of wildlife in New Hampshire!